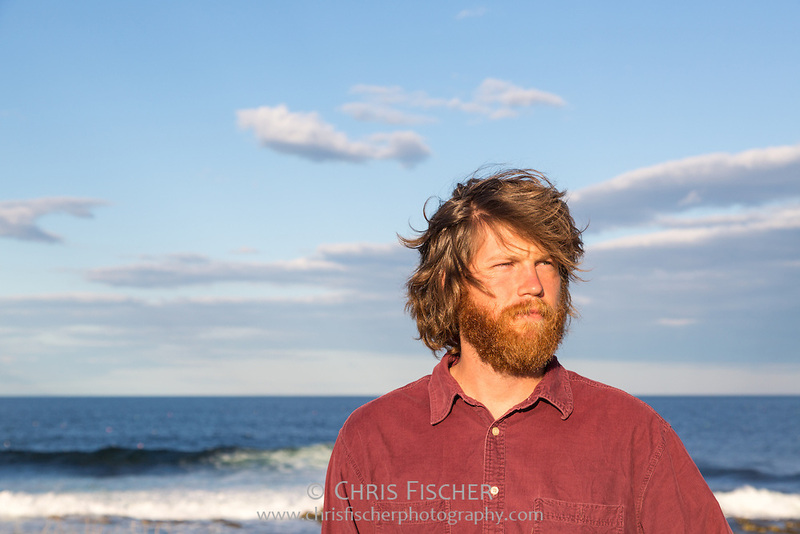 Portrait of John Gorey, Stratton Island Supervisor for National Audubon Society's Seabird Restoration Program, from Gull Meadow with the Atlantic Ocean behind. Supervisors live on the island for the entire field season and supervise a crew of research assistants. Responsibilities include managing multiple concurrent seabird studies, training staff, overseeing and participating in data collection and management, conducting visitor education, conducting predator management, and more.